Landscape photography can be great fun, but when we get back home and look at our images on our computers, we sometimes ask ourselves, “What was I thinking?” or, “How did I make that mistake?” It’s difficult to capture a truly moving landscape, we often end up with little more than a snapshot of a place, one that fails to capture the beauty and the grandeur of nature. I’ll share with you here my 10 lessons for landscape photography lovers, in the hope that you don’t ask yourself those questions, and that you make landscape photographs rather than just take landscape pictures. You need to look for S-curves in nature. Once you find one, move to the left or right or closer or further to the subject to accentuate the curve. Sometimes, moving just a few feet can make a difference in seeing, or not seeing, an S-curve. You also can accentuate an S-curve by careful dodging or burning the curve section of your photograph in Photoshop or Lightroom. Increasing the saturation and/or contrast of the S-curve can make it look more prominent in a photograph. A basic rule of composition is not to place the horizon line or tree line in the center of the frame. 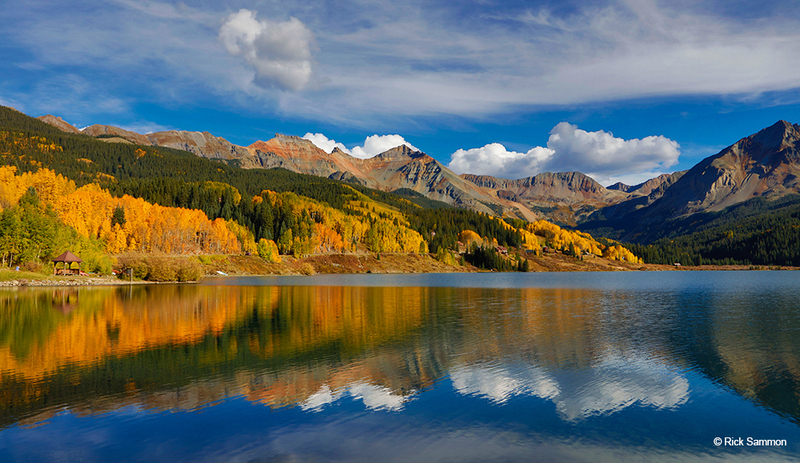 When it comes to photographing reflections, however, that compositional technique can work perfectly, as illustrated by the Telluride, Colorado photograph. You’ll need a windless or near-windless day to get a good reflection. A polarizing filter, which can darken a blue sky or whiten clouds and reduce reflections on water also will help you get a cool reflection shot. 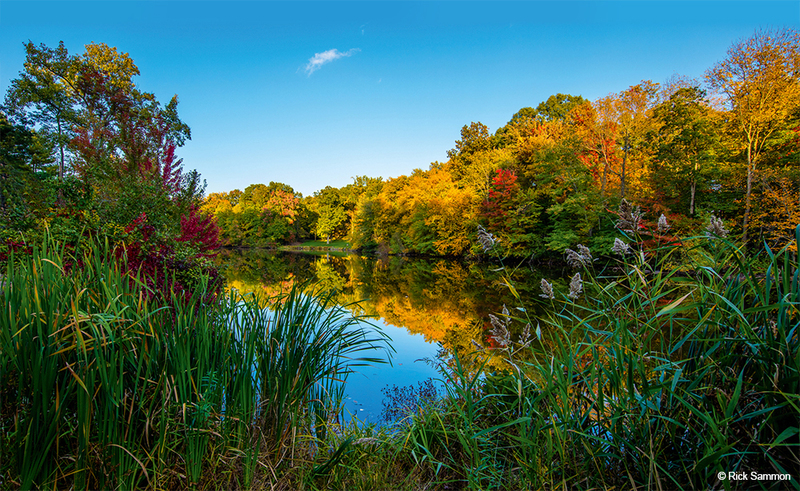 When using a polarizing filter, it’s tempting to dial in the full polarizing effect. On a very sunny day, and if the sun is at a strong angle, dialing in the full effect can result in over-polarizing the scene, which can create a dark area or dark band in your photograph. That dark area is impossible to remove in Photoshop and Lightroom, because it goes very, very gradually from dark to light. Therefore, be very careful when using a polarizing filter. Check the results on your camera’s LCD monitor by zooming in on your photo. Also try the Dehaze filter in Photoshop and Lightroom. It can make the sky and water appear clearer. Most landscape photographs are taken with wide-angle lenses or wide-angle zoom lenses set at the wider zoom settings. The idea with these lenses is to capture sweeping landscapes. 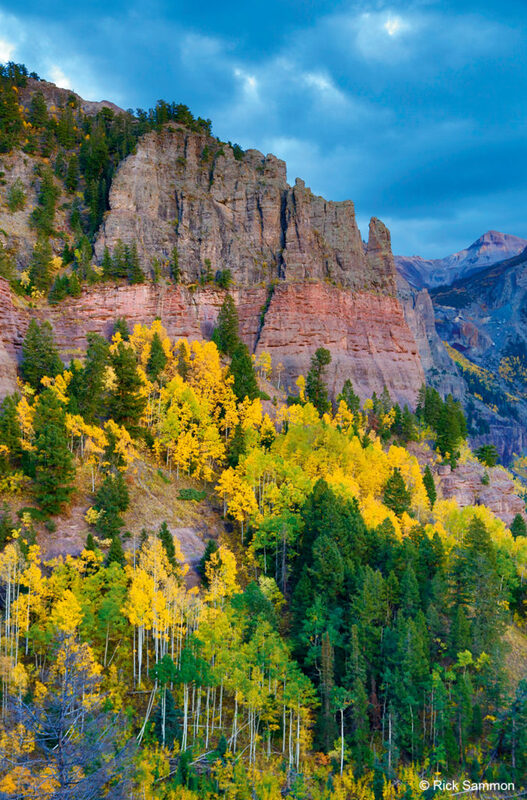 Telephoto lenses are also good for landscape photography for an important reason: They help you “cut the clutter” in busy settings, as illustrated by this Telluride, Colorado photograph. In other words, telephoto lenses let you carefully compose a photograph with interesting elements, as opposed to a jammed-packed photograph, with no main subject, that’s a compositional mess. Notice how all the elements in this photograph, and all the photographs in this article, are in focus. That’s because I used a time-proven, maximum depth-of-field technique: Use a wide-angle lens, shoot at a small aperture, and focus one-third into the scene. The concept: Just because you have an autofocus camera doesn’t mean the camera knows where to focus. This technique works well if the foreground element isn’t too close the lens. If you can’t get everything in focus, try focus stacking. Available in Photoshop, this feature let’s you stitch a series of photographs at different focus settings into one image in which everything in the scene is in focus. I took this photograph in Croton-on-Hudson, New York with my Canon 11-22mm lens set at 15mm. The aperture was ƒ/6.3. Making panoramas has never been easier, thanks to the Photo Merge/Panorama feature in Photoshop and Lightroom. 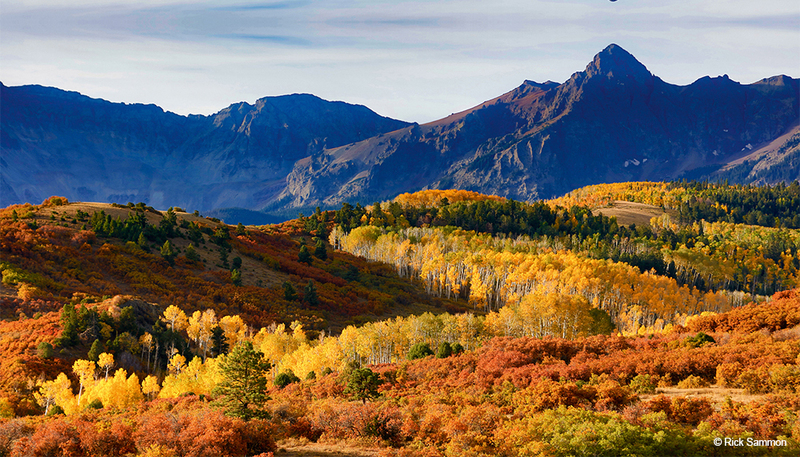 The key is to start with a set of images that can be seamlessly stitched into a beautiful panorama. Here’s the technique. Set your exposure to manual, meter the brightest part of the scene, and set your exposure to that shutter speed/aperture combination. You need to meter the brightest part of the scene so it’s not overexposed in your pano, and you need to shoot on manual to get a consistent exposure throughout your exposure sequence. Next, set your white balance to the existing lighting conditions—sunny, cloudy, etc. If you don’t, you may get a color shift in your images. Hold your camera vertically and take a series of pictures from left to right, or vice versa, overlapping your frame by about one-third. You need to shoot vertically because some of the top and bottom of your images will be cut off in the panorama-making process. Knowing you’ll lose image area in each frame, shoot extra wide to ensure that important foreground elements and clouds aren’t cropped out when your images are stitched together by Photoshop or Lightroom. I carefully followed this technique for my panorama of Bryce Canyon, Utah. When we remove some of the color from a scene, we remove some of the reality, and when we remove some of the reality, an image can, but not always, look more creative and artistic. We can make beautiful black-and-white images in Photoshop and Lightroom, as well as with plug-ins like Nik Silver Efex Pro, the plug-in I used to make this nighttime image of the New Croton Dam in Croton-on-Hudson, New York. When working in black-and-white, contrast becomes very important. I suggest to my workshop students: Boost the contrast a little, and you’ll like your picture a little more. In this photograph, which I took in Iceland, the water is beautifully blurred. That “silky water” effect is achieved by shooting at a slow shutter speed when a camera is mounted securely on a steady tripod. Purchase the best tripod you can afford. Too many people come on my workshops with flimsy tripods, only to order a better tripod as soon as they get home. 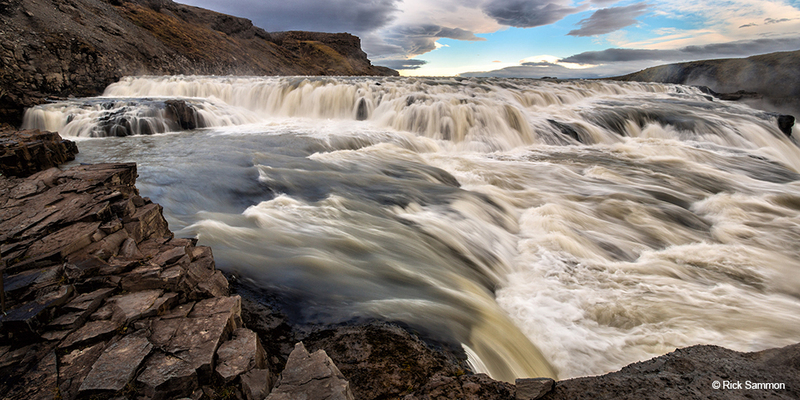 The “best” shutter speed depends on the how fast the water is moving and your desired effect. Here, I used a shutter speed of 1/5 of a second. 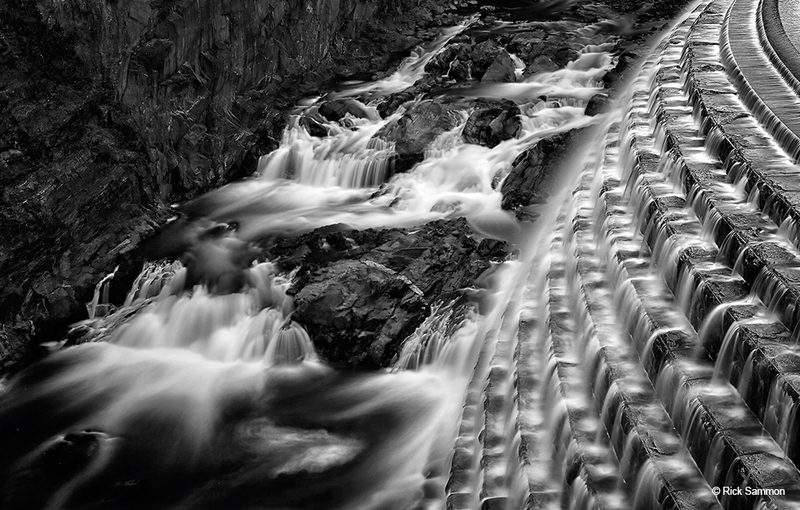 For my New Croton Dam photograph, I used a shutter speed of 30 seconds. Getting long exposures in low light is easy. In bright light, you’ll need a neutral-density filter or a variable neutral-density filter. ND filters reduce the amount of light entering the lens, allowing you to shoot at long shutter speeds. When shooting at long shutter speeds, use a self-timer, a cable release, an app or the camera’s self timer to trip the shutter and to avoid camera shake, which could result in a blurry shot. 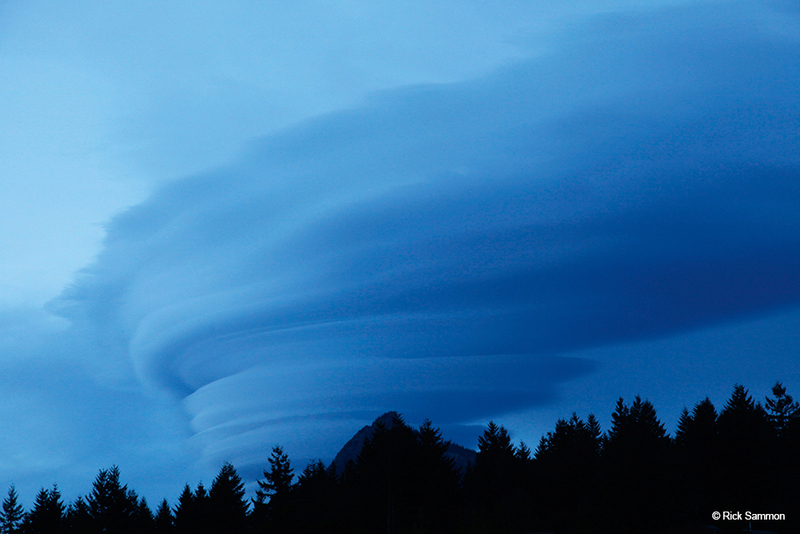 Horizontal images, also known as landscape-format images, are the norm for most landscape photographers. In some cases, however, a vertical image can have more impact—or tell a better story of a subject than a horizontal image. 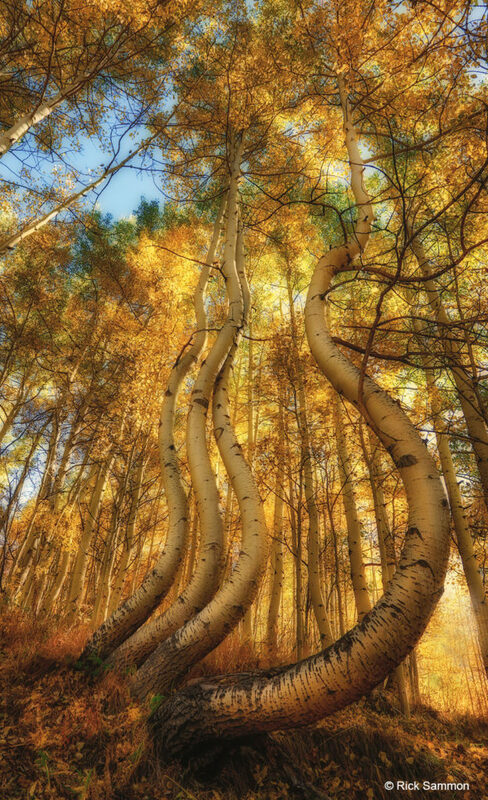 I chose the vertical format, also known as the portrait format, for this photograph of some of the “Dancing Aspens” in Telluride, Colorado, because I wanted a top-to-bottom view of the beautiful trees. Most novice photographers start out by taking all their landscapes photographs with their camera at eye-level. That technique can get boring, fast. You may be surprised at how moving your camera up or down can make a big difference in the look and composition of your photograph. The lower you place the camera to the ground, the greater the sense of “being there” you’ll create for the viewer. If you get down too low, however, the foreground may become the main subject in your photograph. I took this photograph in the Palouse, a wonderful area for photography in Washington State. Placing the main subject off-center, by the way, is a compositional technique that adds interest to a photograph because your eye roams around the frame looking for other elements, as opposed to your eye getting stuck on a dead-center subject. Rick Sammon is a longtime friend of this magazine. You can see more of Rick’s work at ricksammon.com.